We are very proud to announce that International & American Champion Rogue River Lightning Strikes, CD, RA, TT, CGC, now can add ROM and WAC to his titles earned! 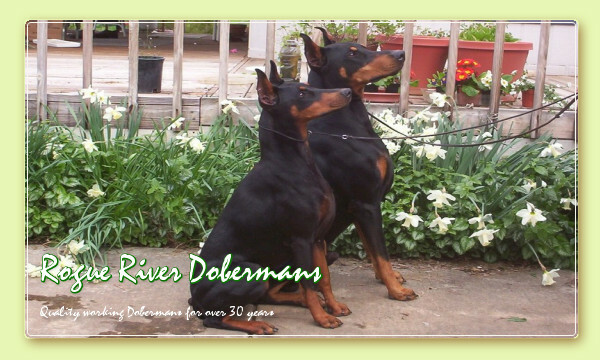 "Striker" passed the Doberman Pinscher Club of America's Working Aptitude Evaluation in 2010, and that, along with his American Championship and obedience titles, qualifies him to be a Register of Merit Dog!! !